Would you like to attend a special preview party for Above & Beyond: The Ultimate Interactive Flight Exhibition at Scienceworks this Friday? 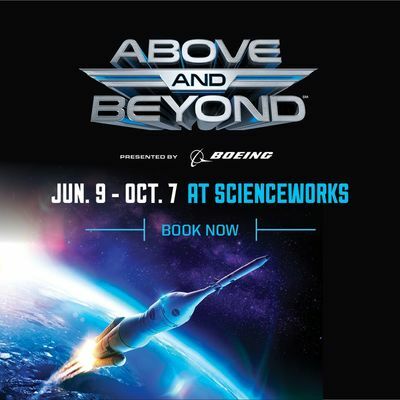 Above & Beyond: The Ultimate Interactive Flight Exhibition, is the astronomical new adventure opening at Scienceworks on 9 June, 2018. In collaboration with NASA and produced by Boeing, Above & Beyond taps into these very childhood dreams. Inspirational, educational, and a whole universe of fun for kids of all ages! We have partnered Scienceworks to giveaway a family pass to THREE lucky followers for an exclusive preview event this Friday June 8 from 4.30pm-6.30pm BEFORE the exhibition opens to the public! To enter, head over to our Instagram and Facebook Pages. Winners chosen at random and notified after 9pm on Wednesday 6 June.